High school students from Fort Dodge Senior High and St. Edmond High School participated in the 78th Annual American Legion Hawkeye Boys State at Camp Dodge in Johnston from June 11-16. They were selected based on their recommendations from school officials and members of the American Legion Post No. 130. 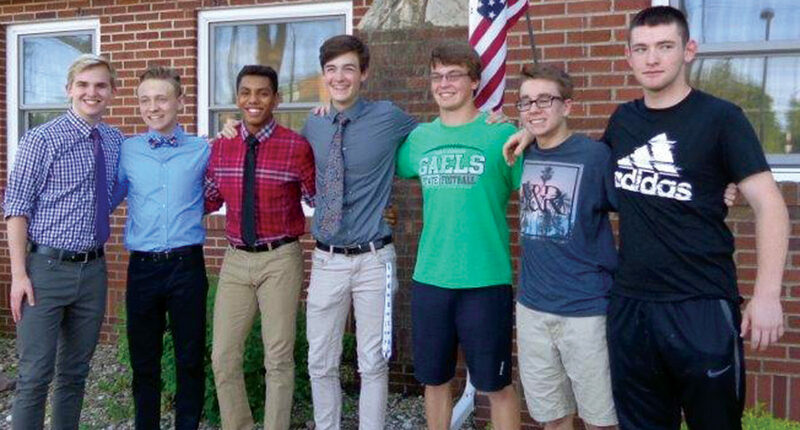 The students from left to right are: Landon Getting, Ashton Acree, Brayden Bell, Eli Asay, Ty Smith, Sam Loerts, and Brandon Earls. Not pictured are Liam Conrad and Yuvraj Thakor. American Legion Hawkeye Boys State is a weeklong “hands-on” experience in the operation of the democratic form of government, the organization of political parties, and the relationship of one to the other in shaping Iowa government. Through the American Legion Hawkeye Boys State objective of “learning by doing,” the young men learn about city, county and state government.